As expectant parents, you may choose to ask what gender your baby is going to be or you may wish to be surprised when the baby arrives. Once you decide whether you want to know the gender of your baby right away, you might decide to do it with a bit of fun and flare. Gender reveal parties are the hottest trend these days where parents can learn the gender of their baby at the same time as family and friends. If you have never been to a gender reveal party, they are simple parties much like a baby shower, where the parents entrust one person to arrange a reveal of the gender using the colors pink and blue. The color is revealed in one of many different ways. 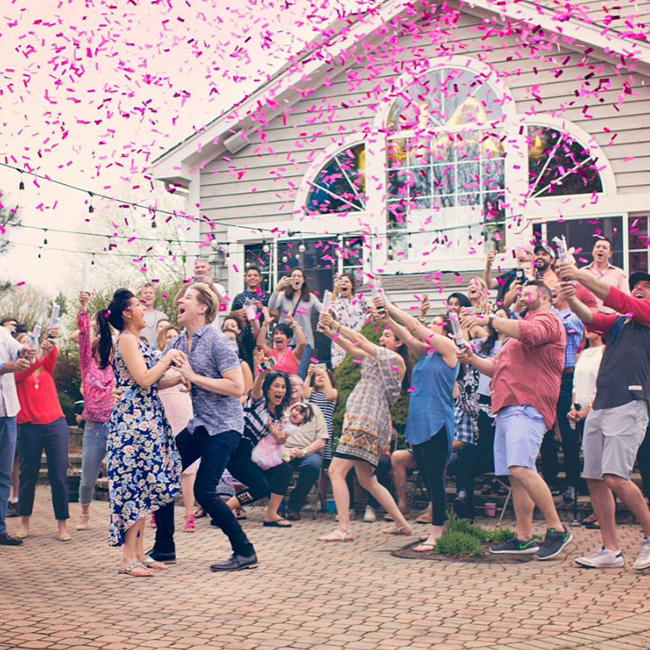 One of the most exciting ways to reveal the gender of your baby is with the use of a confetti cannon. The great thing about confetti cannons is that they create a lot of energy and excitement, much like what happens when you set them off on New Year’s or other celebrations. The anticipation builds as people hold these little cannons in their hands, knowing that the gender of your baby will be revealed in that moment when they are set off together. While there are many ways to reveal the gender of your baby, these cannons help to ramp up the level of excitement and allow your guests to share of the joy you and your significant other are feeling, all at one time. While you might think you could save a bit of money and it might be easier to use a confetti cannon rental, these cannons take away the fun that comes with allowing your family and friends participate in the reveal. What could be more fun than being able to participate in the reveal after all of the anticipation building up to it? Paper confetti cannons are discreet as well. They are marked in a way to ensure that the gender is not revealed too early and spoil the surprise. You could just serve a gender reveal cake, but visibility would keep everyone from sharing in the excitement and surprise. The cannons shoot confetti up to 15 feet in the air, so even if there are not enough for everyone at your party, all your guests can share in the excitement at the same time you do. The cannons are about 12 inches long and 2 inches in diameter so they each hold a fair amount of confetti. They contain compressed air and take only a simple twist at the bottom to set them off. With no chemicals or combustible materials, the confetti cannons can be used indoors or outside. Envision your chosen circle all taking part in your exciting news. There is little that can feel more special than having so many people that you love participating in one of the most joyous events in your life. The confetti cannons can make your loved ones feel more connected to your child and build up the anticipation of welcoming this new family member into the world.